Basically it was mostly about wheat and specifically bread. Peoiple were realising that white bread was really not good for you. The lack of fibre (or roughage as we used to call it) could cause constipation and (hush hush) haemorrhoids. Pulses, usually in their raw dried form were also a big part of the whole food revolution - and took forever to soak and cook. 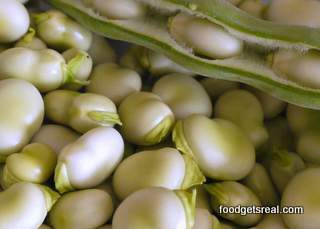 The soya bean in all its frugalness was king. Whole food and health food shops popped up all over the place. Alternative restaurants were also putting in an appearance, usually wholefood and vegetarian, selling delicious food that many people had never tried before. Not surprisingly, many people including myself often confused vegetarian food and whole food. Which brings me to a story of a young man at that time who I met in passing. Actually it was he who was passing. He was from Saskatoon in Canada (which has no relevance whatsoever) on his way around the world back packing and trying to find his inner something or other. Somewhere along the way of his life he had learned to be vegetarian and we were sitting eating in one of these restaurants and I asked him a question. "Why does whole food have to be vegetarian?" ( because at the time no omnivorous restaurants prepared wholefoods) "Why" I asked him "can't it be possible to have a wholefood meal with beef in it?" His answer was that no-one could possibly eat a whole cow. I didn't know how to answer this. Thankfully these days it is possible to eat both meat and wholefoods and my answer to him now if I were to meet him again would be "and how could you possibly eat a whole stem of corn, husk and straw included?" or "Could you eat a nut with its shell? or a whole pumpkin?" So besides all this whether you are vegan, vegetarian, omnivore or omnomnomnivore it seems to make sense that it is best to eat our food as it is meant to be, with nothing taken and nothing added. This is whole food and this is real food.